Direct Sportslink has secured former Green Bay Packers player Antonio Freeman for speaking engagements, meet and greets and various hospitality events including the attached Super Bowl event. It was the perfect setting in a pre-game VIP party before the Green Bay Packers played the Pittsburgh Steelers in the Super Bowl. An Antonio Freeman personal appearance, Antonio Freeman speaking engagement, or Antonio Freeman endorsement will reflect well on your company. To hire Antonio Freeman now for any corporate appearance, fundraiser, motivational speaker event, personal appearance, autograph signing, or website endorsement please contact our celebrity agents at 1-877-6-SPORTS. We will contact Antonio Freeman or contact Antonio Freeman's agent and provide you with the booking fees and availability immediately upon your request. Direct Sportslink is the only sports speakers bureau and talent booking agency based in the United States securing only sports talent for corporations, associations, and organizations for motivational speaking engagements, personal appearances, and endorsements. We are the premier sports celebrity booking agency and a sports celebrity procurement expert. Accordingly, we will provide you with any relevant Antonio Freeman website information and booking agent details so that you can hire Antonio Freeman for your next event. 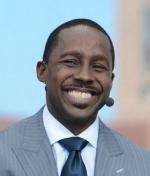 The peak of Freeman's career occurred during his first tenure with the Green Bay Packers, including a victory in Super Bowl XXXI in 1997 over the New England Patriots. During that Super Bowl, Freeman caught a then Super Bowl record-length touchdown pass of 81 yards from Brett Favre. Nicknamed "Free", Freeman had his best NFL season in 1998, catching 84 passes for a league leading 1,424 receiving yards and making his first, trip to the NFL Pro Bowl. Wearing uniform #86 in his career, he made what ESPN in 2005 labeled as the greatest play in the history of Monday Night Football against the Minnesota Vikings. In his ten NFL seasons, Freeman caught 477 passes for 7,251 yards, gained 1,007 yards returning kickoffs and punts, and scored 61 touchdowns. His teams made the playoffs in seven of his NFL seasons. He appeared in four NFC Championship Games and two Super Bowls. At the time of his retirement, he ranked fifth all-time on the Green Bay Packers receivers list with 6,651 yards on 431 catches. 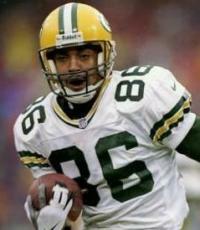 Freeman had three 1,000 yard receiving seasons in his career, 1997-1999. 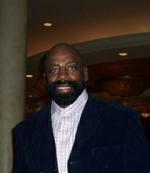 In 2006 Freeman won a Pop Warner Award for his work with youth. He played in the Pro Bowl in 1999 and participated in the NFL Alumni skills competition at the February 2007 Pro Bowl. Based on your interest in Antonio Freeman as a speaker or for a personal appearance, Direct Sportslink has provided you additional links below for other sports talent with similar appearance fees, speaker topics, and categories that match Antonio Freeman.